For students who want to attend college in the United States, one of the biggest concerns is being able to afford it. Because higher education is so expensive, most families are not able to pay for the tuition or living expenses out of pocket. Instead, they look to financial assistance to help pay for school, including grants and loans. That being said, students who are able to get scholarships for school are better off financially, because similar to grants (with some exceptions), scholarships do not ever have to be paid back. There are many different kinds of scholarships that students can apply for, one of them being the Burger King Scholarship. 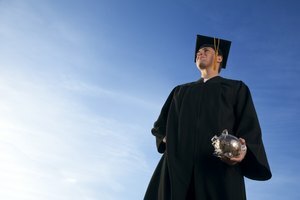 Most people know Burger King as the famous fast food restaurant and may be surprised to learn that the company has been helping people earn a little extra money for college through their unique scholarship program. The Burger King Scholarship is a charitable scholarship program set up by the Burger King McLamore Foundation to give employees of Burger King, their families and ordinary high school seniors, the opportunity to pay for college. The scholarship has been around since 2000 and has offered scholarships to Americans, including citizens of Puerto Rico and Canadians, each and every year since its inception. The scholarship is administered by Scholarship America. Because of the Burger King Scholars program, Burger King has given more than $30 million in scholarships to more than 30,000 students across North America. Since scholarships are typically only granted to students with high academic achievement or athletic ability, an additional opportunity to apply for a scholarship like this is hard to come by. This is why the Burger King Scholarship has made such a difference in the lives of many families. The Burger King Scholarship, otherwise known as Burger King Scholars program, is a program that was started by the Burger King McLamore Foundation. Even though the Burger King Scholarship has been around since 2000, the Burger King McLamore Foundation started in 2005 and was named after Burger King's co-founder, James "Jim" W. McLamore. The foundation is a non-for-profit 501(c)(3) charitable organization. Jim McLamore believed in a set of core values which inspired the Burger King brand, including an "entrepreneurial spirit," "good citizenship," "education," "integrity" and "high standards," according to the scholarship's website. McLamore was committed to education, and it was these values that helped him to build the Burger King empire. It's no surprise, then, that these are the type of values that the McLamore Foundation hopes to find in its scholarship applicants. How Much Is the Burger King Scholarship Amount? Students that apply for the Burger King Scholarship can typically be awarded up to $1,000 and the scholarship funds can be used towards tuition, fees or books at an accredited, not-for-profit, two-year or four-year school. The school must be an accredited college, university or vocational/technical school in the United States, including Puerto Rico or Canada. The scholarship amount depends on how much money in funds are available and how many students apply. The award is not renewable, but Employee-Based Track recipients can apply each year, potentially earning up to $4,000. While any amount of money that can be used for college is better than nothing, there's no denying that the Burger King Scholarship amount of $1,000 isn't that much to make a difference, especially if you plan on attending a school where tuition costs are more than $15,000. If you're hoping to get more scholarship money from the Burger King Scholars program, you can consider applying for the James W. McLamore Whopper Scholarship Award, which grants three students a scholarship amount of $50,000. Why Apply for the Burger King Scholarship? Paying for college can be very difficult. 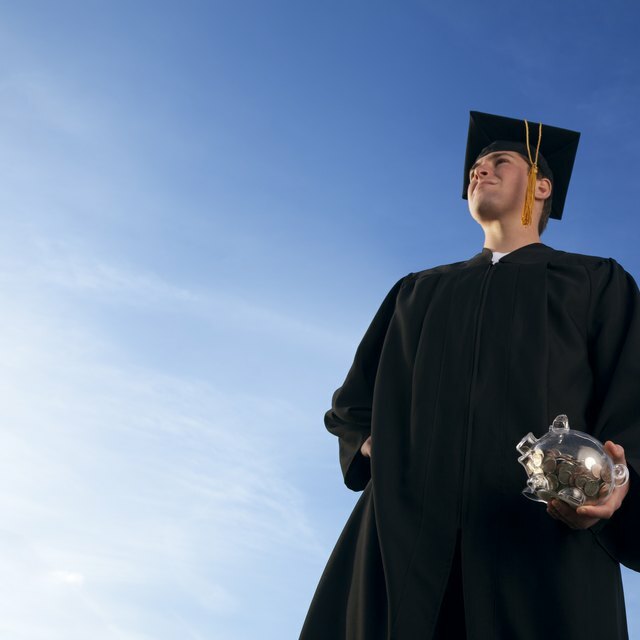 However, those who are able to attend an institution of higher-education and eventually earn their degree will likely have many more opportunities in the future. Burger King cares about their employees, and even though providing them with an access to college education may mean that they will no longer work at Burger King, McLamore undoubtedly was committed to the notion that his employees could get their degrees. Of course, the Burger King Scholarship is not only open to Burger King employees but to others who are eligible as well. If you can get extra money to pay for college, why not take your chances at applying? Be a high school senior, Burger King employee, spouse/domestic partner or the child of a Burger King employee in the United States, including Puerto Rico, and Canada. Must be applying to a non-for-profit two-year or four-year school. The school should be an accredited college or university or vocational/technical school in the United States, Puerto Rico or Canada. If you're interested in applying for the Burger King Scholarship or the James W. McLamore Whopper Scholarship Award, then you must apply via the Burger King McLamore Foundation website at www.scholarsapply.org/burgerkingscholars. Click "register here" and once you've signed up, you can use your Burger King Scholarship log-in to begin your application. On this portal, students can also find out if their application has been received and whether or not they have been chosen as a recipient of the scholarship. If you want to apply for the Burger King Scholarship or the James W. McLamore Whopper Scholarship, you must make sure you apply within the appropriate time-frame so that you can get your application in by the deadline. You should get a notification within 24 hours of applying to confirm that your application has been received. If you do not receive a notification email be sure to contact Scholarship Management Services. The Burger King Scholarship deadline for the 2019 to 2020 school year is December 15, 2018. The applications open October 15, and then students will have two months to apply. The application period is the same year after year, but in case there is a change, make sure to check the Burger King McLamore website to avoid missing the deadline. If you need to make changes to your application or send in your transcripts, that must be done by December 15 as well. The application window works nicely for high school seniors who are eligible for the scholarship since this is around the same time they will be applying for colleges. For applicants that are not seniors in high school, it's a good idea to apply for the Burger King scholarship a full year before you start school as well. While you'll only have two months to apply for the Burger King Scholarship or the James W. McLamore Whopper Scholarship Award, you will, unfortunately, have to wait much longer than that to get back your results. Applicants who have been awarded the Burger King Scholarship or the James W. McLamore Whopper Scholarship Award will not be notified until May of the following year. Therefore, if you apply for the December 15, 2018, deadline, you won't get your Burger King Scholarship results until May of 2019. When the results come out, you will be notified via email as well as a physical letter via U.S. mail. Therefore, when you apply for the scholarship, make sure that you use an email address that you use often, and that you remember your username and password for that email. Otherwise, you will have to wait until you get the actual letter to know whether or not you've been awarded. Likewise, you can also likely see results via your online portal, so make sure you keep your Burger King Scholarship log-in information in a safe place. On the online portal, you can update your email address or home address if they change. Be sure to check your spam folder as sometimes the notification email can end up in there. If you've received your results and you know that you were selected as a recipient of the Burger King Scholarship or the James W. McLamore Whopper Scholarship Award, then congratulations! Now, paying for college just got a little bit easier. In August of the awarding year (so, if you applied in 2018, in August of 2019) you will receive a check in the amount that you were awarded at your home address. If you haven't received your check 30 days after the issue date, then you must contact the Scholarship Management Services as soon as possible. The check will be made out to the institution you will be attending. Most students, especially high school seniors, will need to use the scholarship money for the year award year for which they applied. However, eligible applicants applying as Burger King employees pursuing an enrichment program, can decide if they want their check in August or November of the awarding year or January of the following year. 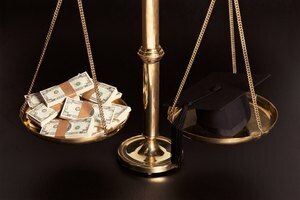 Since the scholarship should only be used for expenses associated with the college institution, such as tuition, books and fees, the scholarship is generally not taxable. However, you can ask your CPA about this when the time comes. According to the Burger King McLamore Foundation website, for the 2018 to 2019 year, the Burger King McLamore Foundation awarded $3.7 million to more than 3,400 students across Canada and the United States, including Puerto Rico. For now, the Foundation will continue awarding scholarships to Burger King employees, spouses, domestic partners and children of employees, as well as high school seniors who demonstrate that they are deserving of the scholarship. LaRock, Hana. "What Is the Burger King Scholarship?" Synonym, https://classroom.synonym.com/what-is-the-burger-king-scholarship-13714939.html. 18 September 2018.